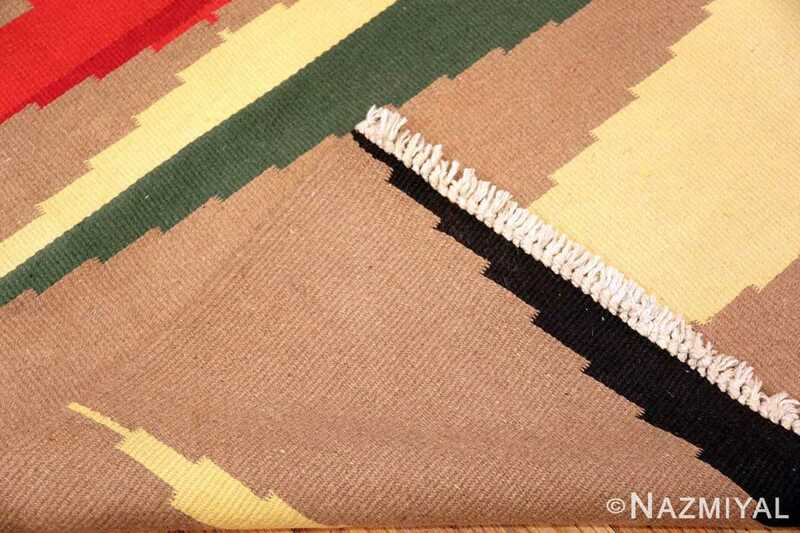 A Magnificently Artistic Vintage Black Red Yellow Green And Cream Flat Woven French Art Deco Kilim Carpet, Country of Origin / Rug Type: French Rugs, Circa Date: Vintage Mid 20th Century – This magnificently modern flat woven French Art Deco rug brings together bold geometric designs and vibrant colors in a design that would fit well with any contemporary or modern Scandinavian design. 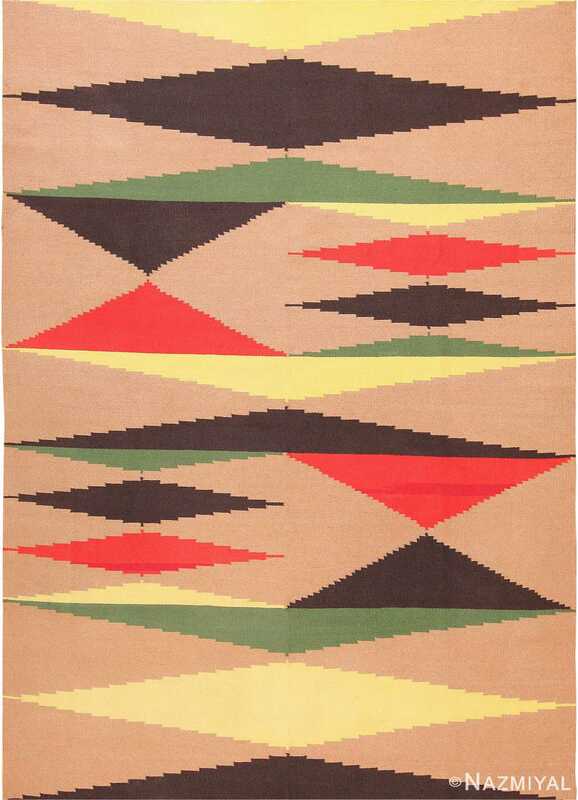 This vibrant vintage mid century modern rug combines red, yellow, green and black in an abstract triangle based design that represents the epitome of the postmodern as well as the modern art era. 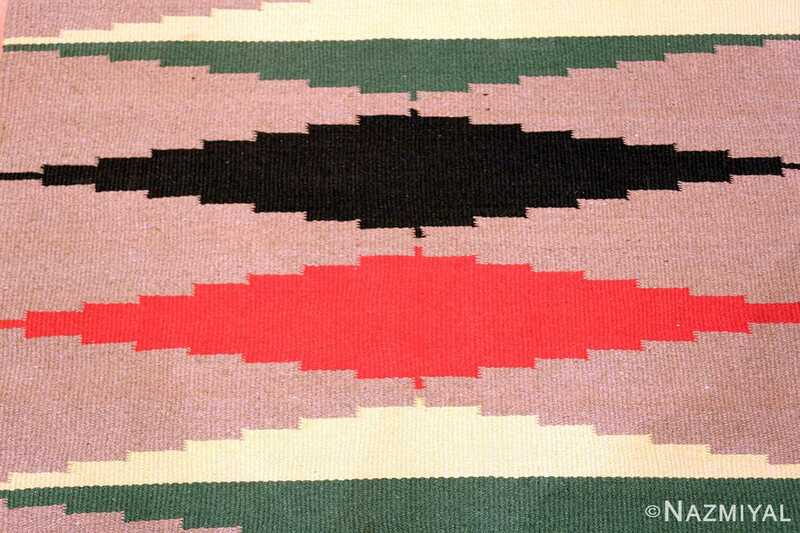 The design of this fascinating French rug is based on triangles and flattened diamonds. 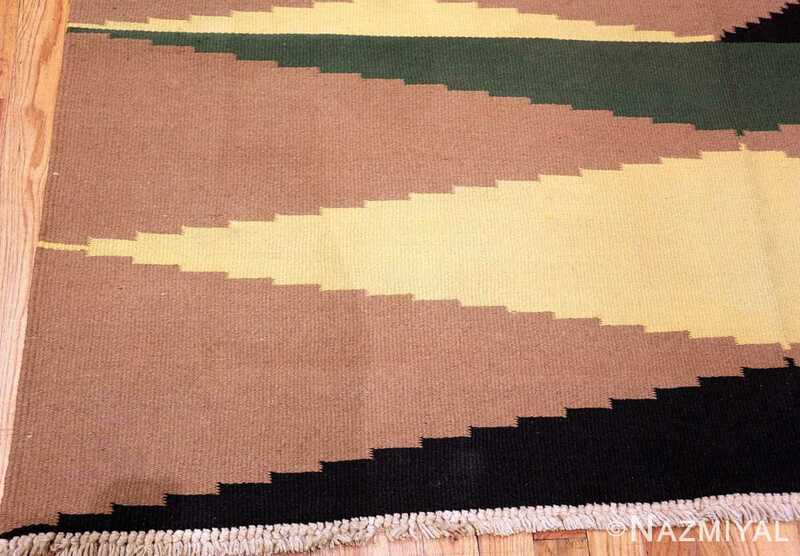 The horizontal placement of the diamonds draws the eye along the vertical length of the flat woven rug. 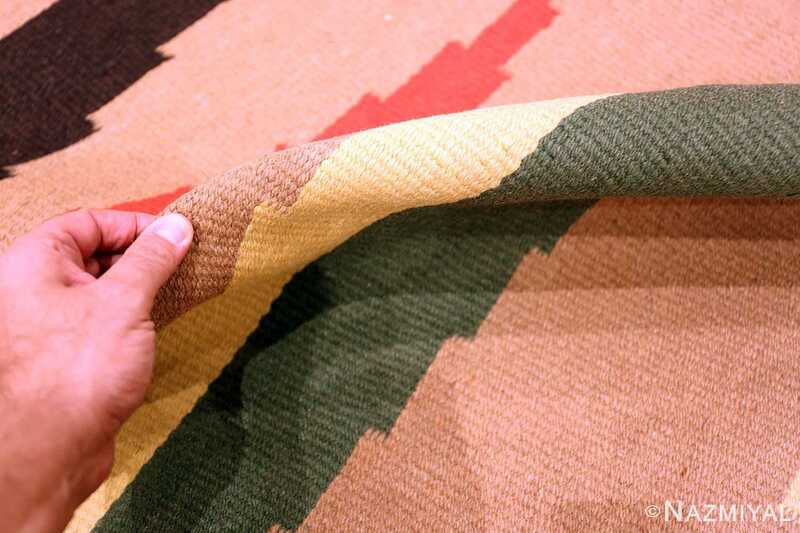 The use of line in this kilim rug breaks the design into distinct sections, with some diamonds cut in half and extending the entire width of the French Art Deco kilim. 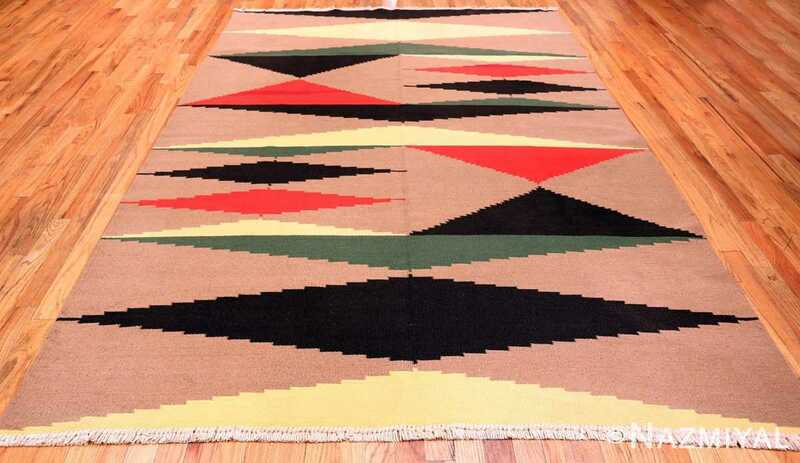 The bold geometric design uses rhythm and repetition to bring together the central theme of the vintage French deco rug. It has horizontal symmetry in both line and shape, but not in color. 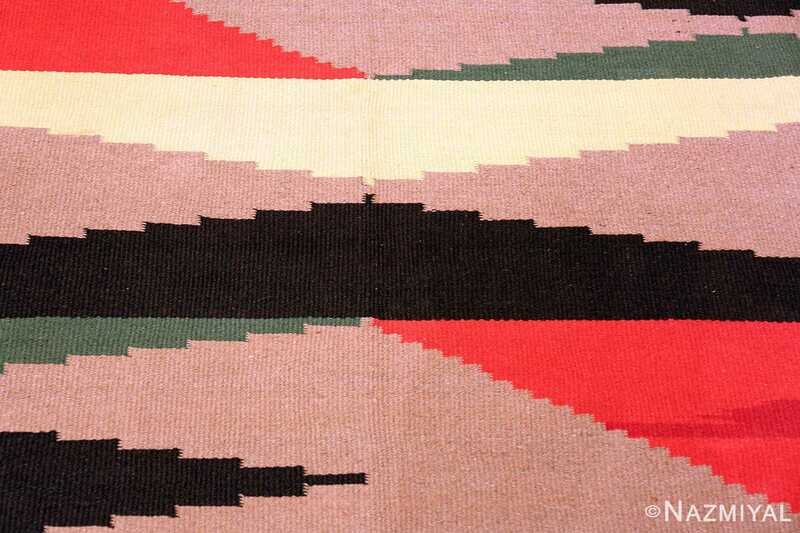 It also has vertical symmetry, which gives it a sense of balance and connects one section of the design to the others. 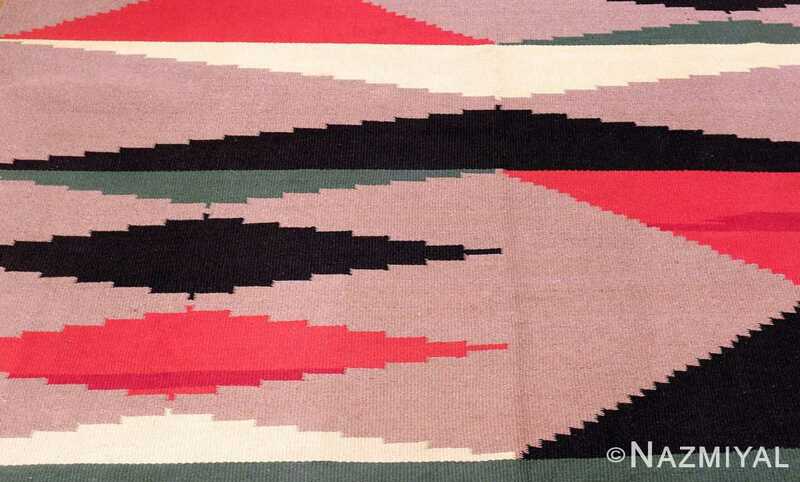 The use of symmetry and repetition gives the design of this art deco kilim from France a cohesive look that can be used to bring other elements of the room together. 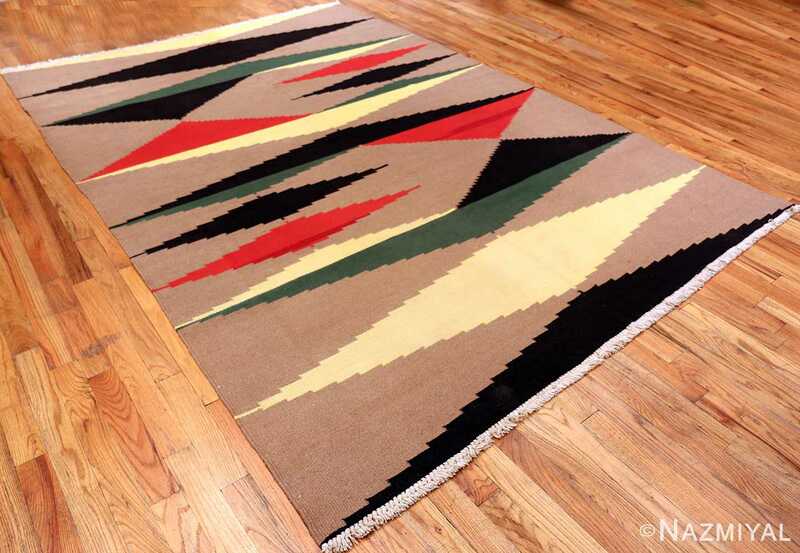 This vintage French Art Deco flat woven kilim could easily form the central design theme of the entire room by pulling the vibrant colors from the rug and placing them throughout with accessories and furniture. 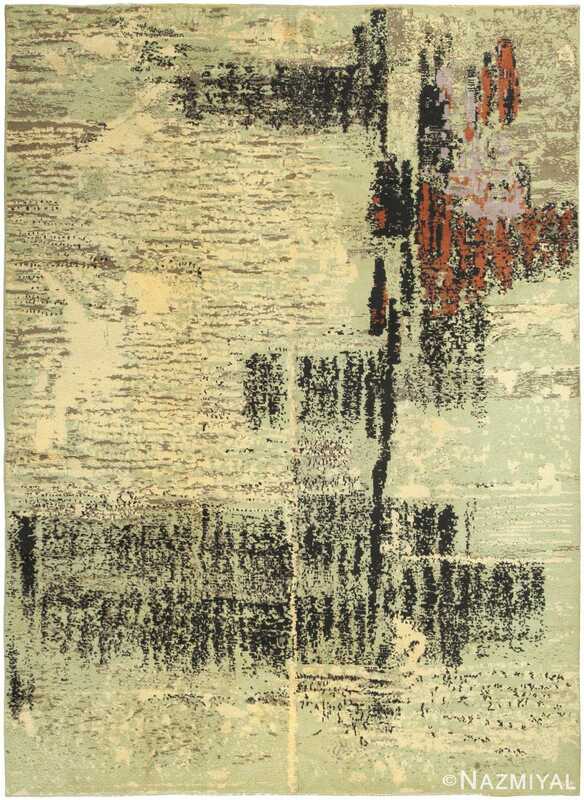 This piece has a retro vintage look that easily carries through into modern minimalist organic or industrial design themes. 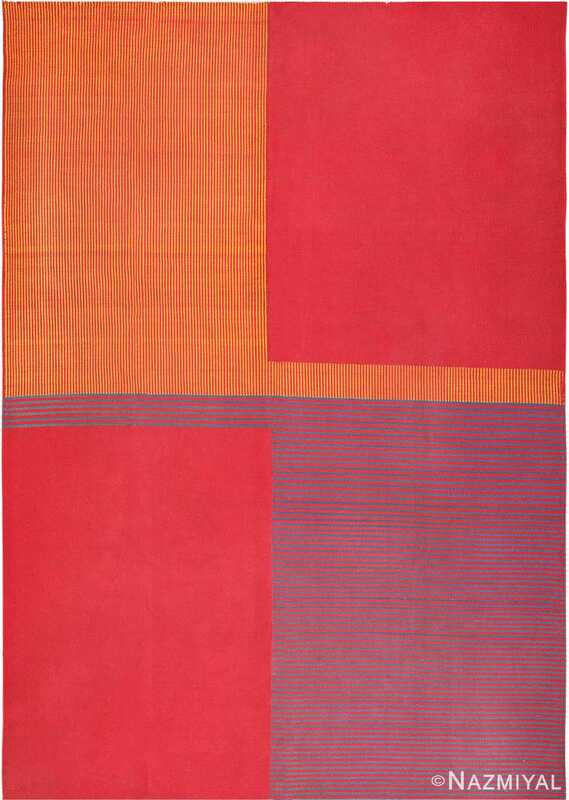 This versatile and bold rug will be a fun, yet formal addition in a design that focuses on simple lines, form, and color. 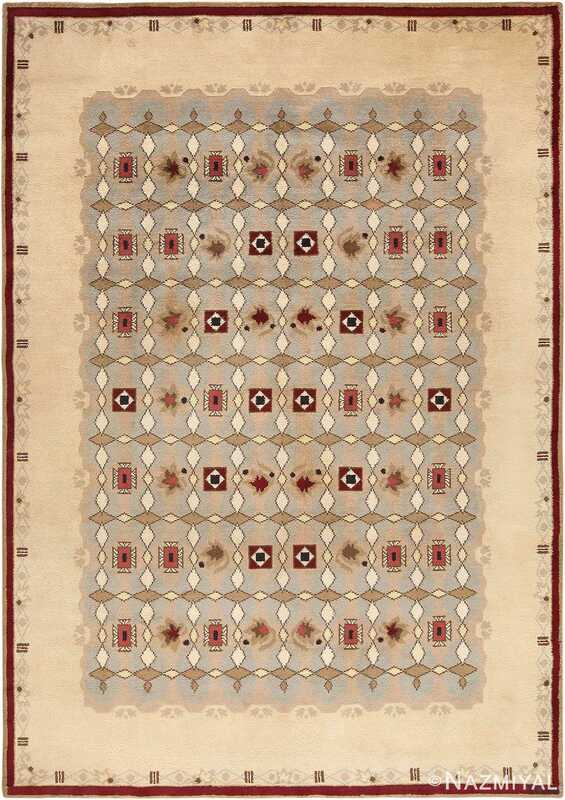 Crafted in the early 20th century, this cutting-edge French art deco rug is a fabulously artistic work of art with unlimited modern and minimalist appeal.